An historic East Neuk coaching inn with lounge bar, 34-cover restaurant, function suite and 21 bedrooms is being marketed by DM Hall, one of Scotland’s leading independent chartered surveyors. 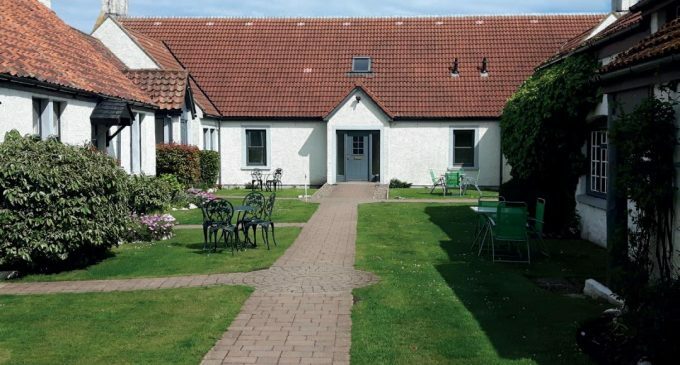 Located in Largoward, just five miles from St Andrews, the Inn at Lathones, comprises a series of buildings, some of which date back over 400 years. Rated 3-Star by VisitScotland, the business has a strong reputation for fine food and includes various extensions and additions, from the Old Smithy, Coachmans and Hayloft, to the Old Forge lodges and suites. In addition, there is a spacious, two-bedroom flat which is currently utilised as office/staff accommodation. Meanwhile, the Stables has operated as a popular music venue for functions including smaller weddings, celebrations and party nights. The guide price of £795,000 is for the property, goodwill, fixtures and fittings, with stock available over and above at valuation.